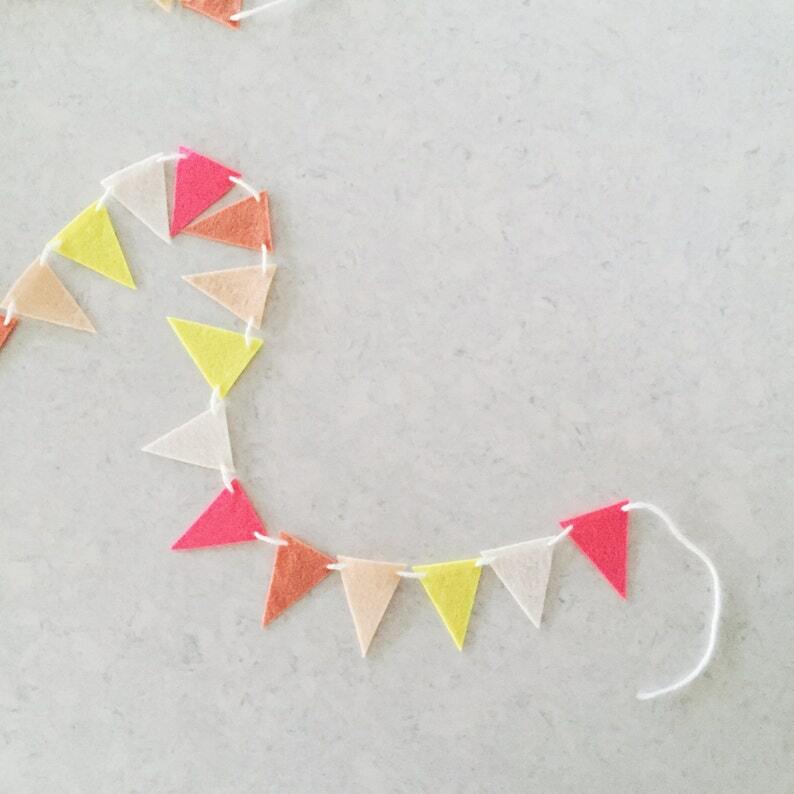 Whimsical + fun Stiffened Mini Felt Garland. Perfect for party decor or decoration for a baby or kids room. Triangles measure approx: 1.5" x 2"